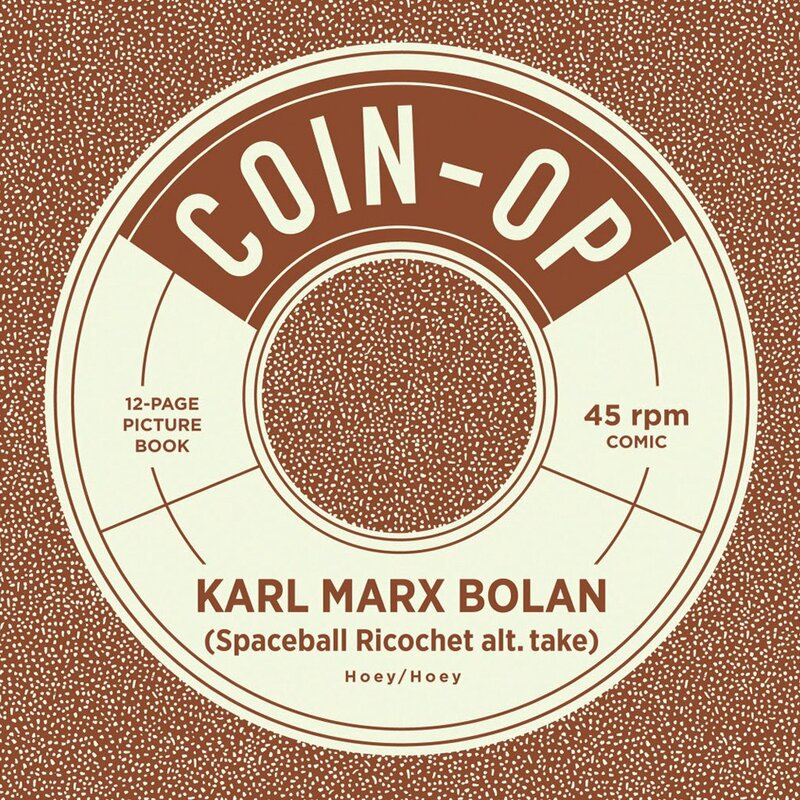 * Rob Clough reviews COIN-OP SPECIAL: KARL MARX BOLAN by Peter and Maria Hoey, writing " In just eight pages, they tell a story with an epic sweep that touches on raw early 50s rock, 70s glam rock and funk. 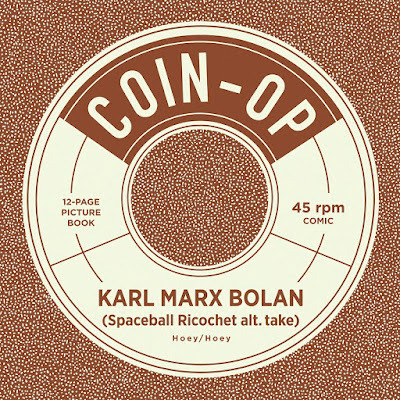 It's a funny statement about the potential power of music apart from its status as capitalist commodity." * Alex Hoffman on DARK ANGELS OF DARKNESS by Al Gofa, "a comic that is wry, and a little weird, but ultimately it is a comic that is about affection – Gofa’s affection for a specific type of comics." Hoffman also reviews GIRL TOWN by Carolyn Nowak, "a step left and a step forward from the world we all inhabit; these comics are weird, a little off kilter, different than expected. The way the world Nowak’s characters inhabit operates is a little strange. But that strangeness is not a distraction – rather, it heightens the reader’s awareness of the core of Nowak’s cartooning, which is to say, the way her characters build relationships and deal with trauma." * John Seven has short reviews of three books you might be interested in over on The Beat in a round-up called INDIE VIEW. While there are some interesting books featured here, can we all finally agree to retire the word "Indie" at last? Is it me, or is it just inherently a terrible word? Seven also reviews SEVEN PLACES WITHOUT YOU by Spanish cartoonist Juan Berrio, "which addresses the emotional turmoil of a break-up with something unexpected — contemplation." * Henry Chamberlain on HI JAX AND HI JINX: LIFE'S A PITCH -- AND THEN YOU LIVE FOREVER by Dame Darcy. * Justin Giampaoli reviews HAMLET IS OKAY by Lora Root, which "emphasizes the thematic takeaway of the simple importance of friendship." * Ryan Carey on IN CHRIST THERE IS NO EAST OR WEST by Mike Taylor, writing "there's an underlying sense of playfulness in the midst of this thick phantasmagorical jungle of the mind and heart, a Zen-like calm at the center that lets you know that even if everything may not ultimately be okay, it's at the very least going to be whatever it is, and learning to accept that --- to accept anything, really --- is the key to something more than mere prosaic survival; it's the key to progress, to evolution, to becoming." * The folks at Broken Frontier have chosen their SIX SMALL PRESS CREATORS TO WATCH IN 2019 -- if you're unfamiliar with what this is and its legacy, let me assure you that Andy Oliver and the rest of the Broken Frontier staff have consistently picked some pretty amazing artists to fill this list over the years. 2019 seems to be no exception. * Simon Moreton's MINOR LEAGUES 7 is available for pre-order! * John Porcellino is publishing comics in The Reader out of Chicago under the title PRAIRIE POTHOLE. * Rebecca Kirby has a comic up on Vice called NUTTER BUTTER FARTER. * Sarah Miller has this great piece on Popula about attending a Guns N' Roses show in 2017 titled WHERE DO WE GO NOW that, if you're of a certain age, hits hard (with a knowing grin on its face). * Allison Meier talks about AMERICAN INTERIORS, the new book by photographer M L Casteel that examines the psychological repercussions of military service through the cars of veterans. * Finally, there's this pretty great interview of Twitter's JACK DORSEY conducted by Ashley Feinberg that I think everyone who uses Twitter should read. I'd be happy to hear what you think of it.